If you are a stubborn conservative and still have not opened your eyes to the reality everyone is seeing, it's time to do so - if you don't want to be considered a troglodyte. 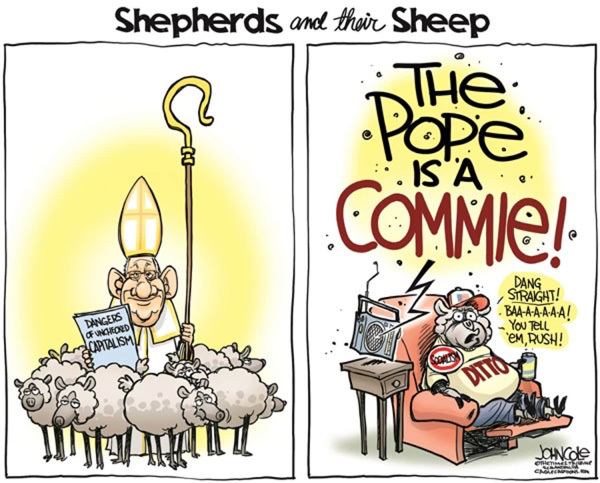 To help you in this endeavor, we present for your perusal some of the many cartoons that abound on the Internet, not only in anti-communists milieus, but throughout the mainstream media. Have a good journey! We will see you at the end of your trip.